The kitchen is my place. My family has spent a lot of time leaning over counters (my whole life). The kitchen is the life blood to this family. And kitchen tools are like toys 😀 Dish towels are often an exciting accessory to the fridge, oven, or tossed over a shoulder. 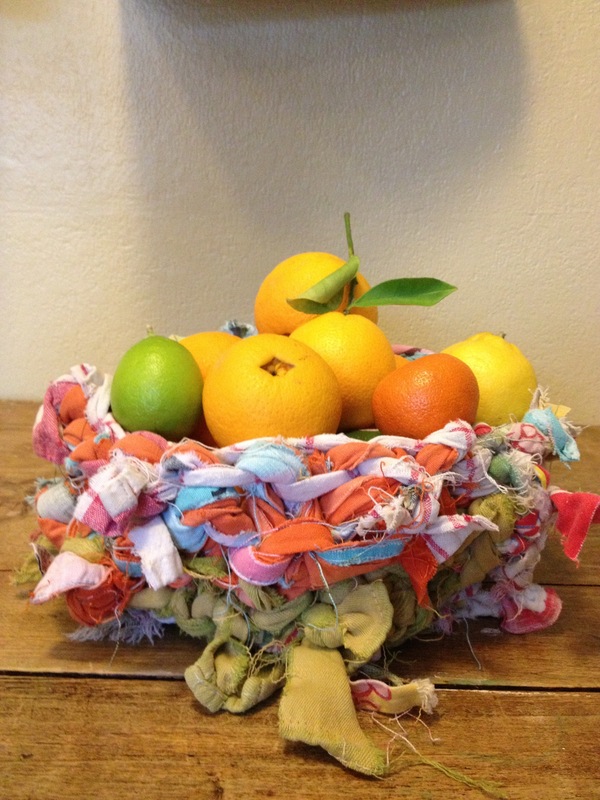 When my favorite towels started to fall apart I looked for something to turn them into. And along comes Ms Erika Knight to revive my ragged towels. 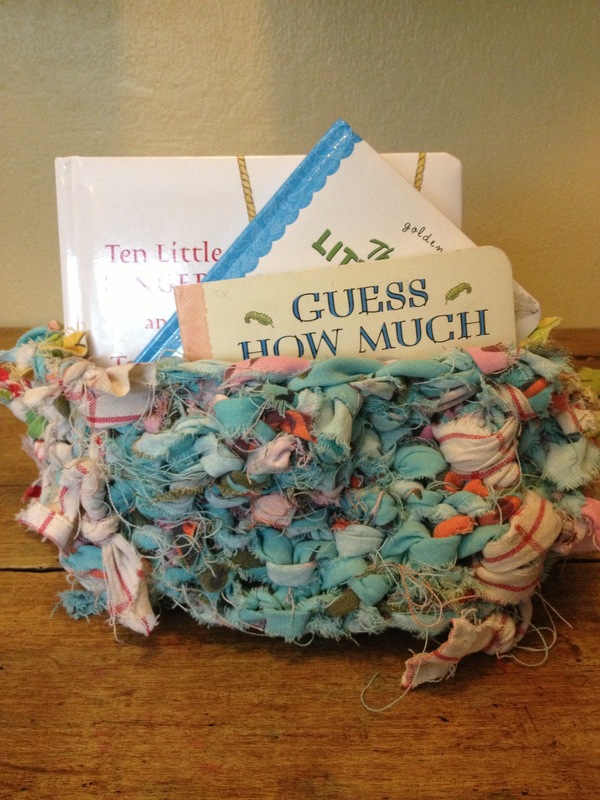 In her book Natural Nursery Knits there is the perfect solution to my issue. 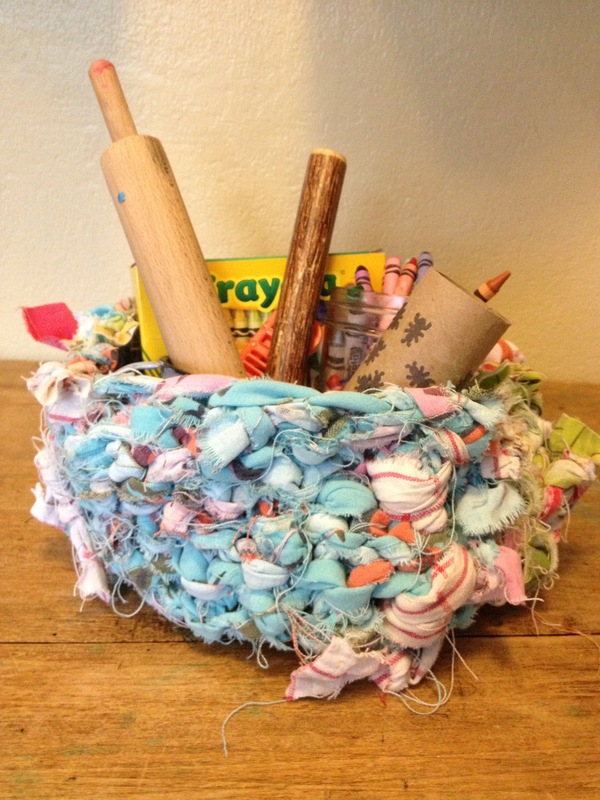 A rag basket. So I got to ripping. 5 hand towels later I have this, and couldn’t be happier.